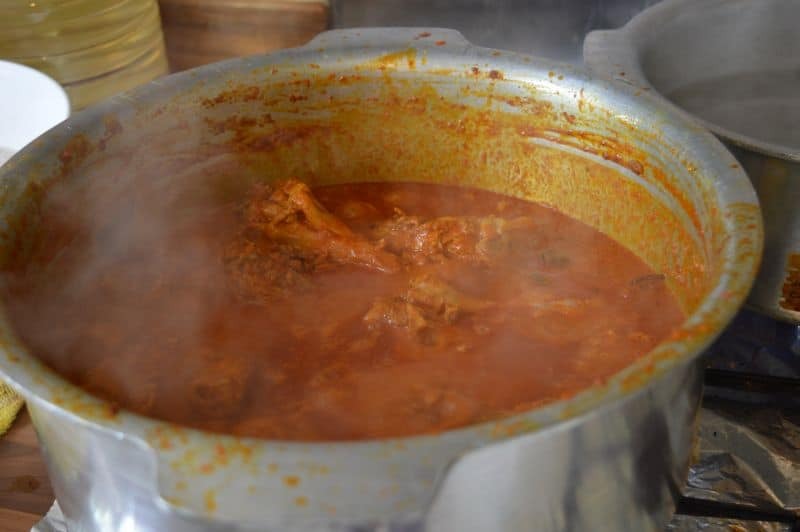 How to make chicken biryani in a big batch 🙂 . 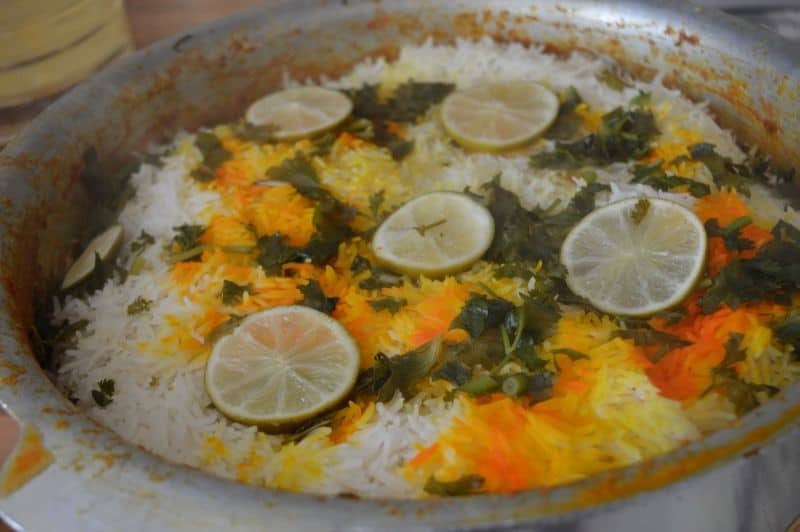 Yes today’s recipe is biryani my all time favorite thing to cook but in a large quantity. 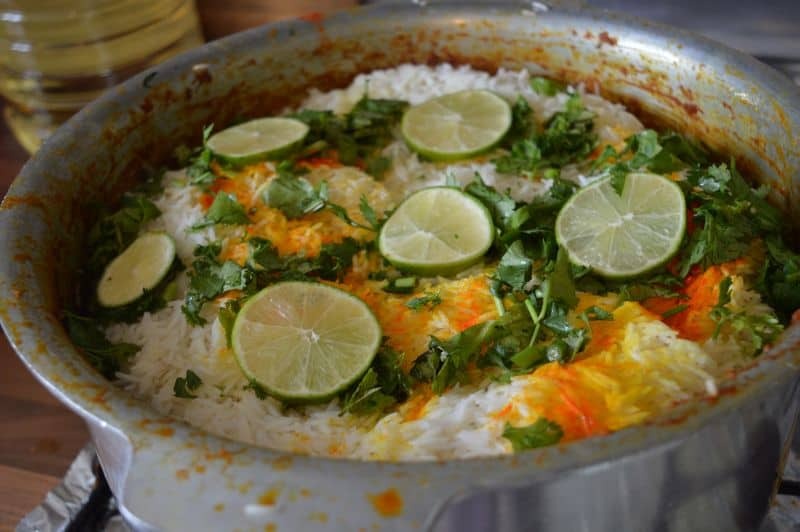 Many people asked me many times how to cook biryani in large quantity when they have parties or family gatherings, so today I made this recipe in easiest way. So you can make it easily. Follow my instructions if you want it perfect. I used double quantity of chicken than rice because it will give perfect taste. Also I suggest you to use best quality basmati rice. Now a days my favorite is Ultimate Guard Basmati. And I used Guard Supreme Basmati in this recipe. You can see the result is awesome. 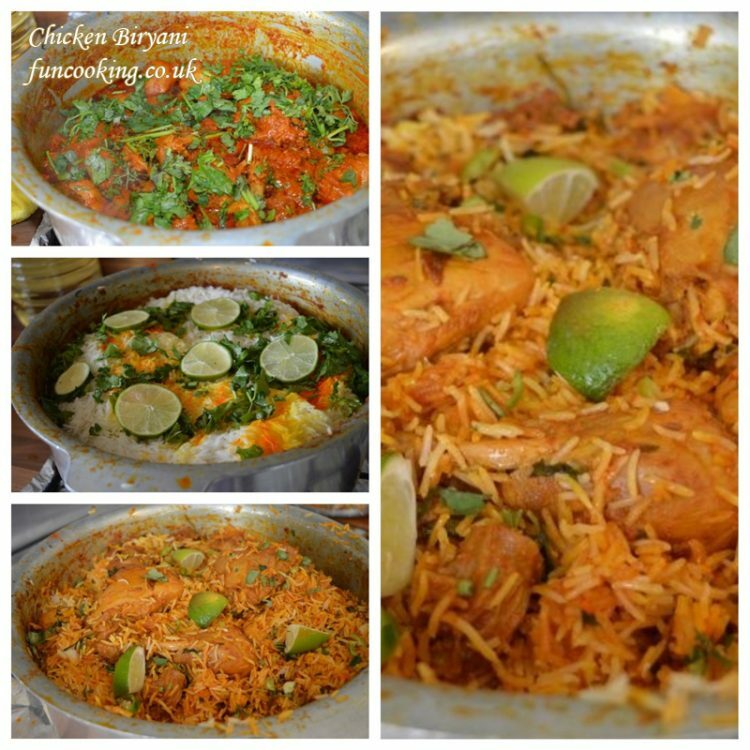 Also try my other Biryani recipes like this. 1. 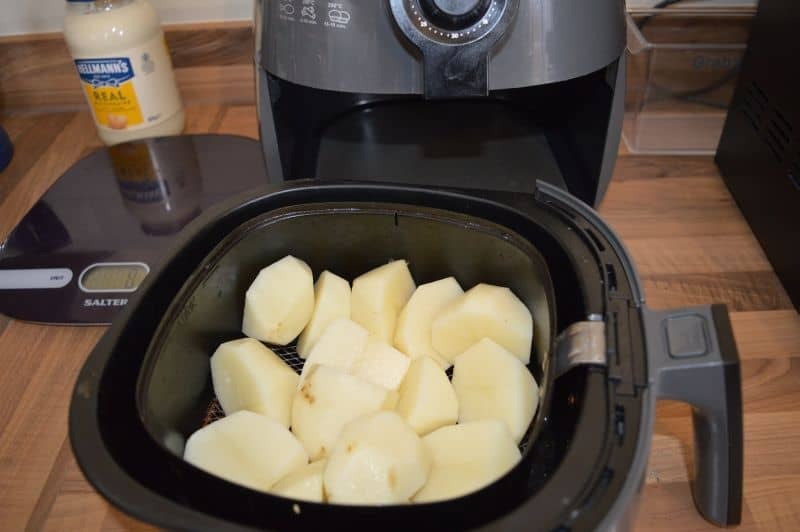 Wash peel and cut potatoes. I am air frying them at 160 for 20 minutes. 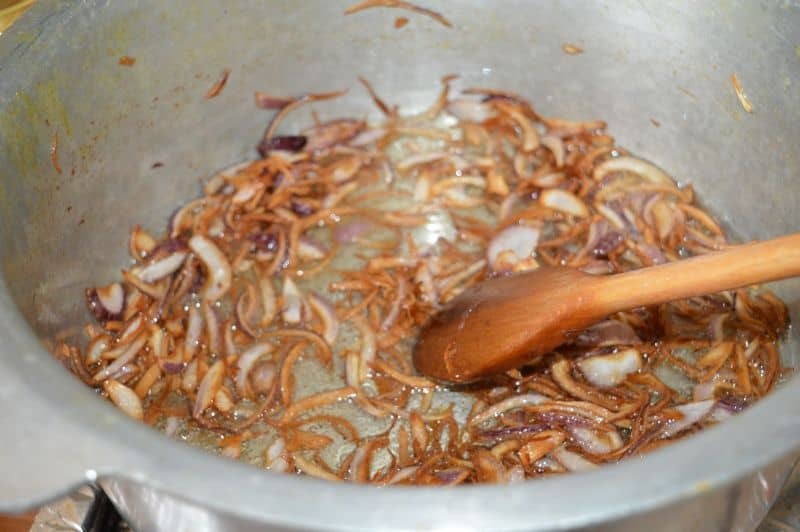 You can fry them before adding into biryani or add in as it is. 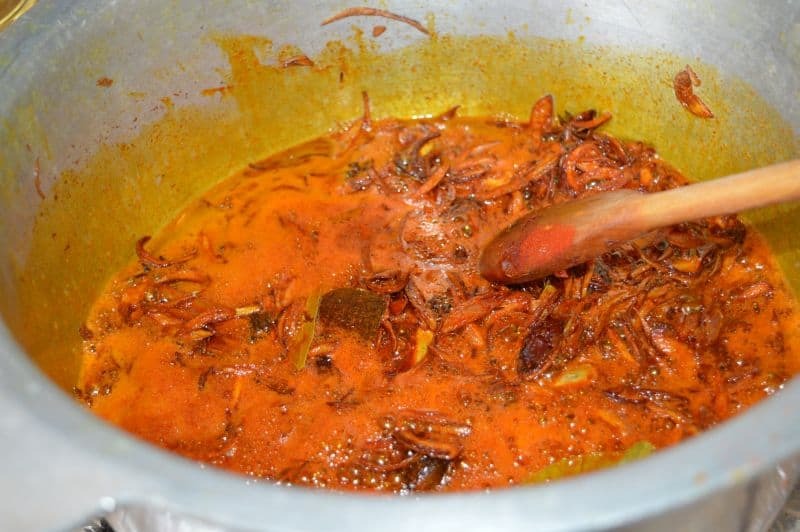 Reason of frying them before adding into biryani is they will absorb more flavour from curry. 2. Soak rice for 1/2 hour. 3. 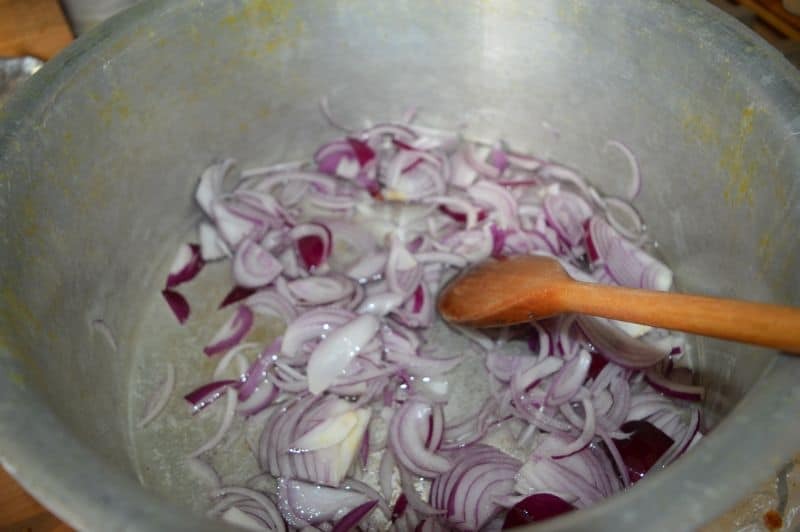 In a big pan add 1 cup oil with finely sliced onions. 4. Cook them until slightly brown in colour. 5. Add in all list 2 ingredients and stir for 1 minute. Turn off the heat and let it cool. 6. Add in all list 1 ingredients. I added chopped tomatoes and green chilies in it ,this way it would be easy in cooking and we don’t need to bhunnao it too much. 7. Mix , turn on the heat and cook it until chicken is nicely tender. 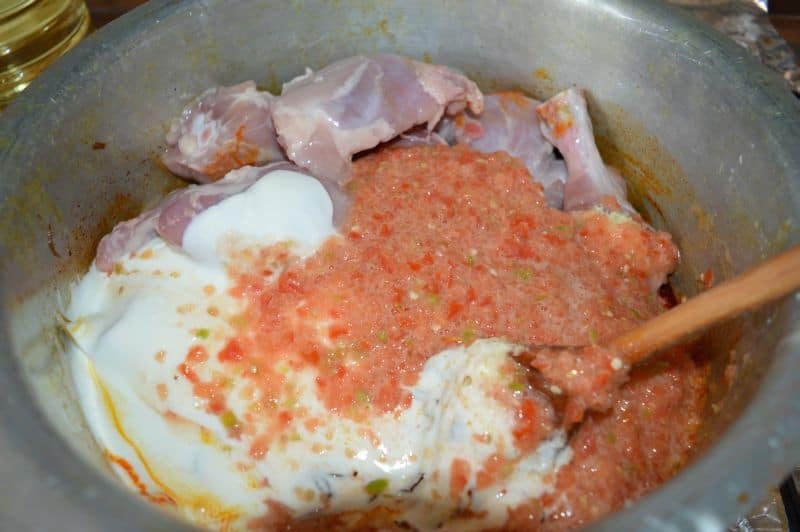 Do not add any water because chicken and yogurt has already enough water in them. 8. I cooked it for almost 45 minutes because I used big size chicken pieces. You can cook it less or more according to your chicken size. 9. 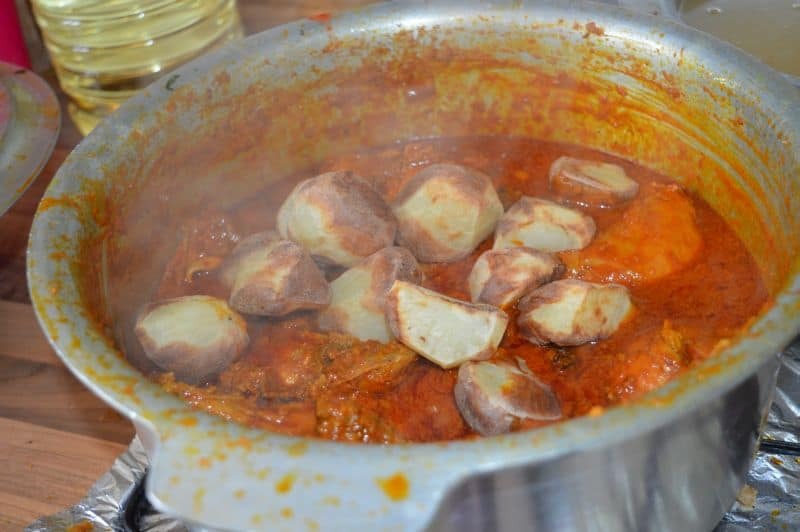 Now add cooked potatoes , mix and turn the heat off. 10. 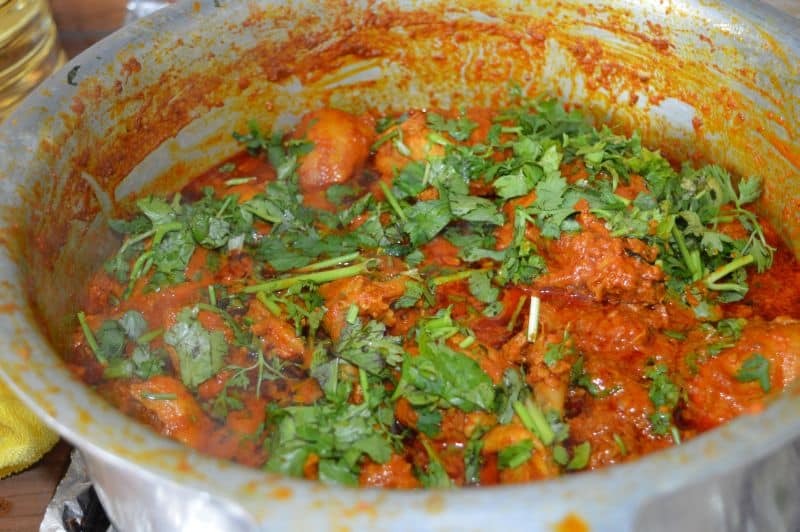 Add lemon juice, mix and spread fresh coriander on top. 11. 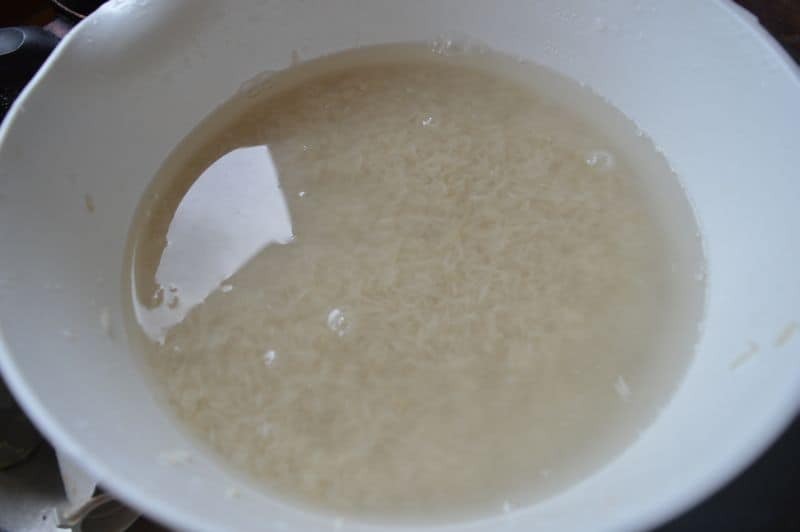 Boil rice in lots of water with 2-3 tbsp salt. Cook them until 1/4 done, almost until 2 boils. 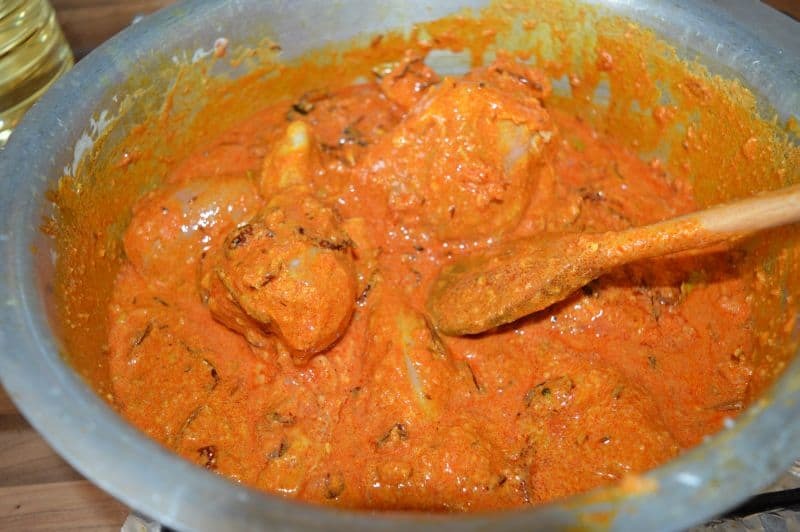 Take out and spread over chicken curry. Spread all list 4 ingredients on top. Cover with tight lid and turn on the heat high. When you see steam coming out of the pan then turn the heat low and give it 10 minutes dum. 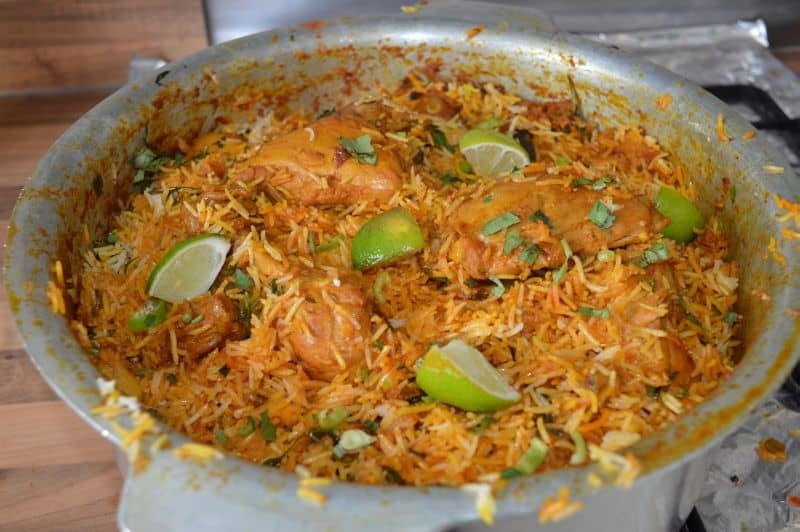 Here is a short video for this chicken biryani recipe.